Weird things are happening to Matthew McGhee. First, a purple blob follows him home. Then he hears his mom making plans to send him away to a faraway place. When Matthew finds an egg-shaped bruise on his arm, he knows for sure something very strange is going on. 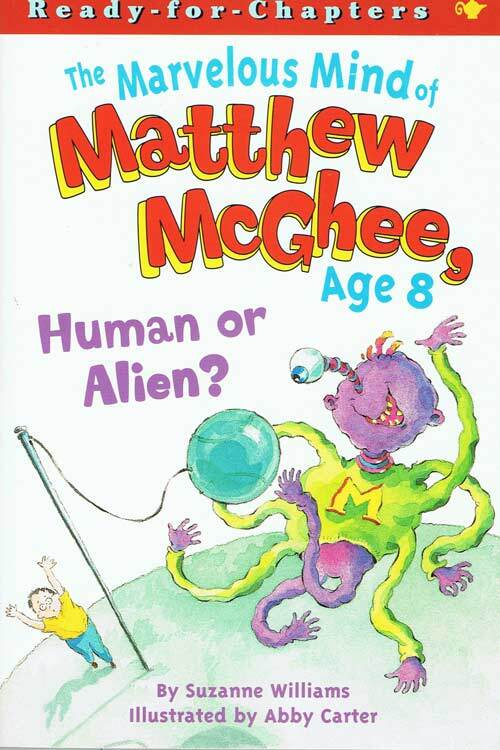 Matthew’s always thought he was different from other kids, but he never thought he was from a different planet! Do these weird occurrences mean that aliens are coming to bring him home? When the phone rings one night, it’s for Matthew. It’s the call he’s been waiting for…. ←Matthew Mcghee Book 3 – The Lucky Penny?